Our approach to change is focused on delivering business outcomes and is steeped in practical experience of designing and managing hundreds of initiatives. While implementing change to achieve objectives with speed, predictability and control is complex, the elements summarized below are common to most strategic improvement efforts. Stakeholder & environmental analysis- Identifying and defining the needs and preferences of stakeholders is an increasingly important responsibility of leadership. Savvy management teams look for ways to group those stakeholders with similar-enough needs and preferences within the business environment and use these groupings to effectively and efficiently understand, inform and influence. 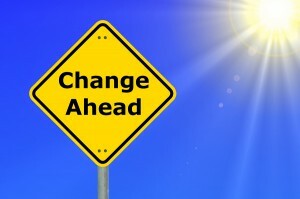 Need for Change represents dissatisfaction with the present conditions; a compelling gap between “as-is” and the “to-be”. Vision of the Future represents a positive picture of what is possible in the future. Steps to Achieve the vision represents realistic actions and activities to reach the vision; requires both resources and approach. Resistance to Change represents the natural and normal personal resistance to change (e.g., loss of control, too much uncertainty, surprise, confusion, loss of face, real and perceived threats, post-change issues, past resentments, perception of more work, etc.). 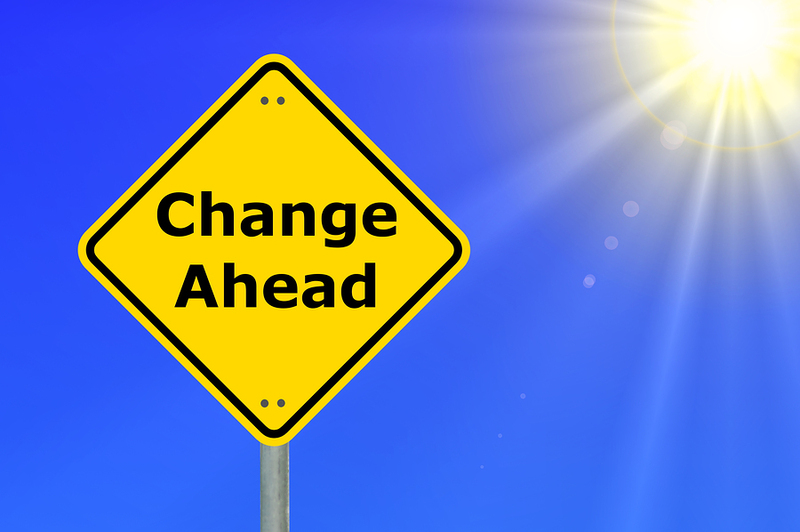 If any element of the change equation is not addressed through change management, the left side of inequality reverts to zero, and the inertia of your stakeholders’ natural resistance to change will overcome the change effort. 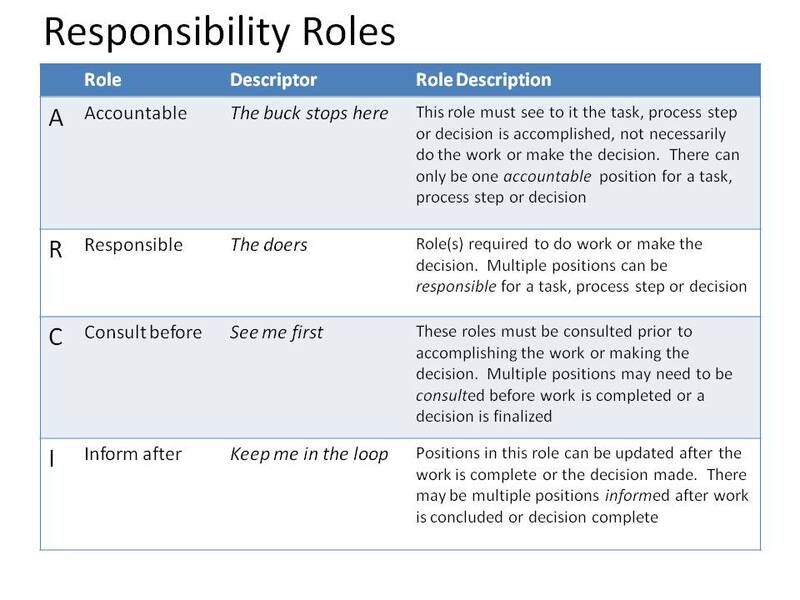 Clear roles and responsibilities- In order to manage change, all members of the change team need to know their role for each activity they are involved in, and recognize their role may vary from activity to activity. 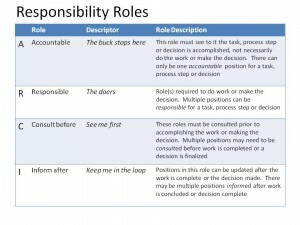 While there are a number of unique roles to strategic improvement initiatives including sponsor, once the key activities are determined, one of four generic ARCI roles discussed in the table, namely Accountable, Responsible, Consult and/or Inform can be assigned to key stakeholders and team members. A single position or individual may need to accomplish more than one role for a given activity. Advocating for the vision, supported by a compelling, relevant and emotional story, similar to brand marketing’s tactics is critical to most strategic initiatives. Also, we recommend crisply defined and reinforced responsibilities to increase focus, integration and performance.